Wales marched to a third Six Nations Grand Slam under head coach Warren Gatland on Saturday afternoon, in a dominating display against Ireland at the Principality Stadium. 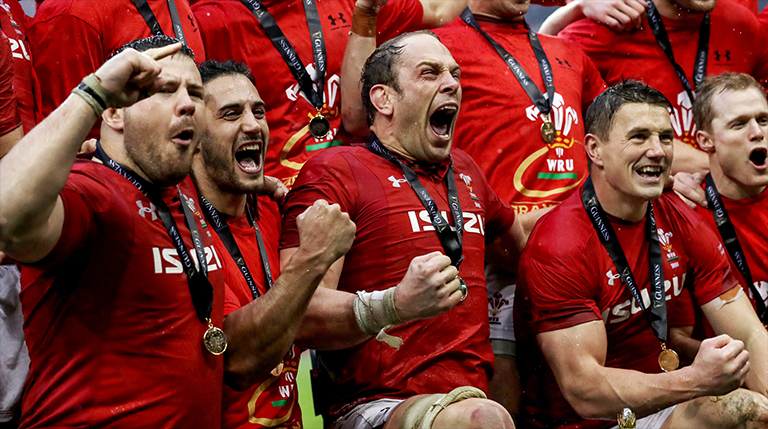 Captain Alun Wyn Jones played a huge role in Wales’ success and is many peoples’ favourite to win Player of the Championship, but it’s this moment of pure class that has everyone talking. As the anthems were being played yesterday Jones noticed one of the mascots was shivering with the cold given the horrible conditions and took off his jacket to wrap around the youngster. Absolutely top class from the Ospreys lock. We showed you the image yesterday and now here’s the video courtesy of BBC Scrum V.